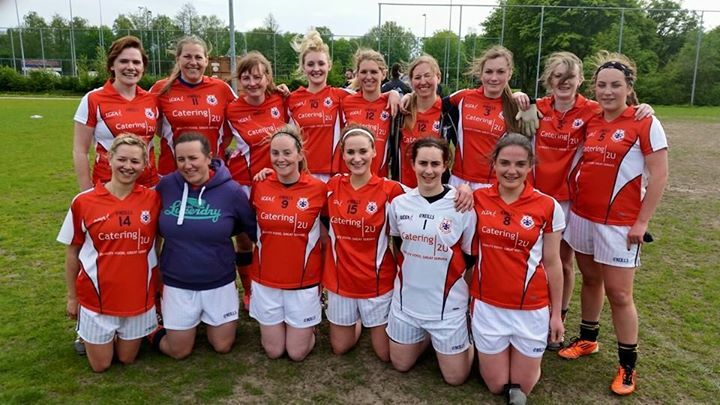 Amsterdam Gaelic Athletic Club: Holland Ladies on Tour: So Far in 2015! Holland Ladies on Tour: So Far in 2015! The first ladies training of the year saw new faces and seasoned veterans tog out in hats, scarves and hoodies under lights on February 16th in Amstelveen. 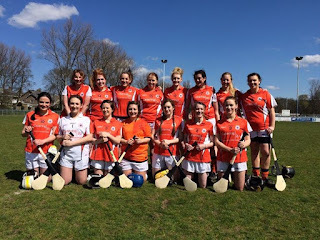 Both football and camogie was played and the promise of another great season of European GAA was enough to keep players going in the cold and dark conditions, and through many more training sessions until the first tournament! Holland Ladies football team were first out of the blocks in March. In a tournament hosted in The Netherlands, many of the Holland Ladies players met for the first time; players from Amsterdam, Den Haag and Eindhoven all came together for the Invitational Gaelic Football Tournament. Four excellent Irish teams lined out, from Galway, Dublin, Meath and Kildare. While there were no victories for Holland Ladies, a great day was had by all and a promising season of looked to be on the horizon. It was the football team up again in the first round of the Benelux tournament in Luxembourg. Eight players from Holland travelled to the 7-a-side tournament hosted by Luxembourg GAC. Four ladies teams participated; Holland, Luxembourg, Belgium A and Belgium B. Holland ladies overcame Luxembourg and Belgium B to reach the final against Belgium A. Unfortunately beaten by Belgium A in a fast-paced and exciting final, the ladies from Holland received several special mentions from the referees and our own Rosie de Siúin walked away with Player of the Tournament after four stunning performances. 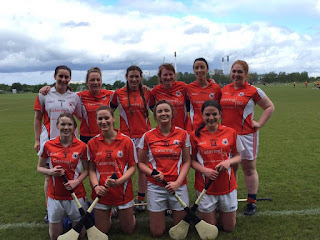 The camogie team were next up, competing in Round 1 of the European Championships of camogie in April where a great number of ladies lined out for the tournament. With only two competing teams, it meant that Holland Ladies played two games against Belgium to decide the winner. The teams took part in two great clashes, but it wasn’t to be for Holland Ladies, who ended the day as runners-up. 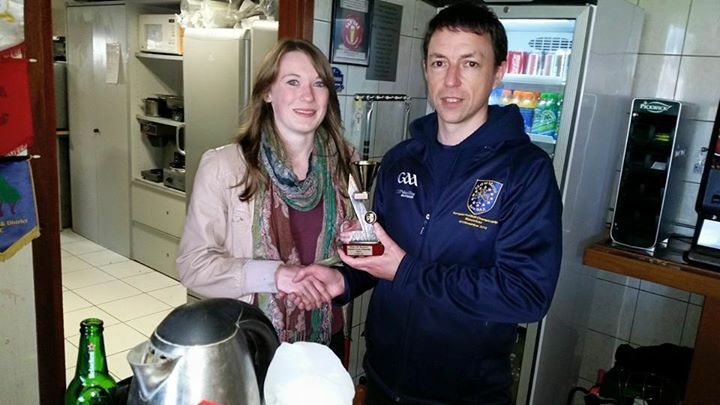 After displaying two powerful performances against Belgium, Holland’s Eimear Foley won the Player of the Tournament. The next day out for Holland Ladies was in the second round of the Benelux football tournament. This time hosted by Amsterdam GAC, a windy day gave way for some great football. A great squad of girls played Luxembourg, Belgium A and Belgium B. Holland ladies walked away from the tournament as joint-runners up with Luxembourg. 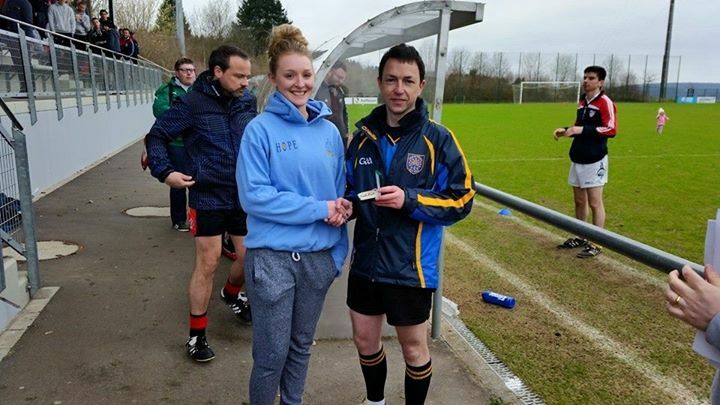 Many players were commended by our esteemed referee Marty McClean, including Deirdre Kelleher, Eimear Foley and Rosie Young. 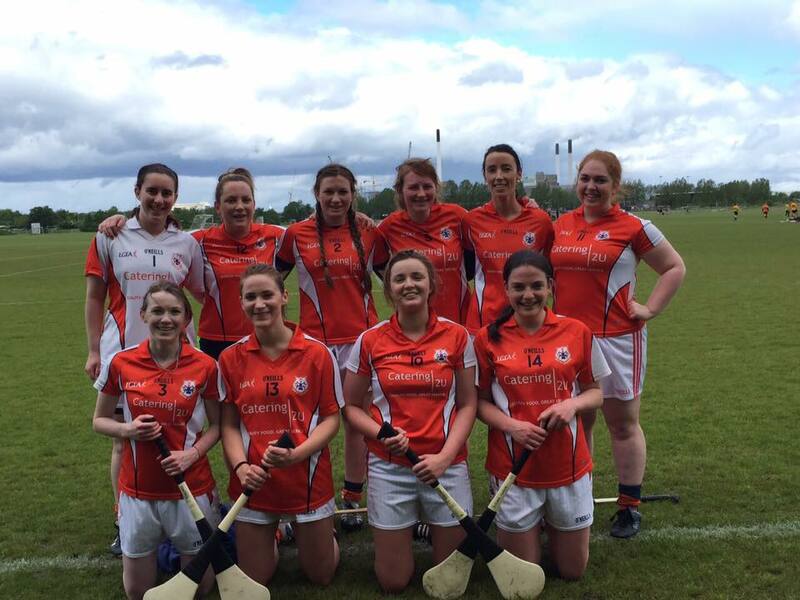 Holland Ladies camogie team made the journey to our Northern European neighbours in Copenhagen for Round 2 of the European Championship. 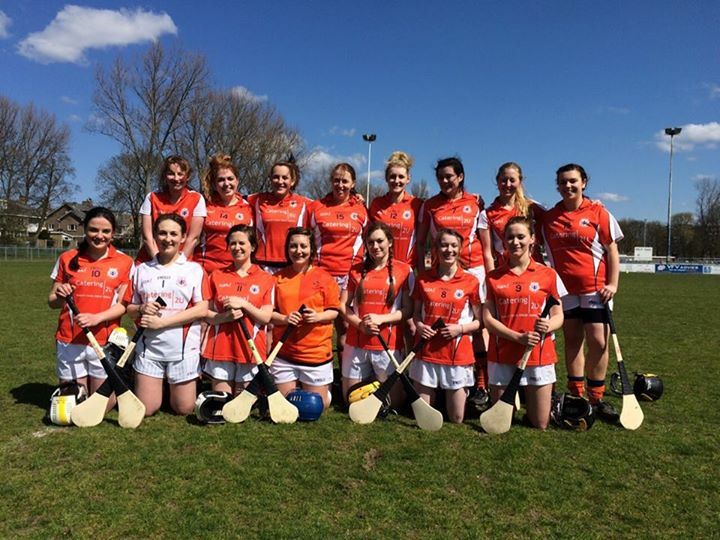 Once again there was a small turn out of camogie teams, with only Belgium and Holland Ladies competing. Holland, captained by stalwart Rose Holland, won their first game against Belgium and were beaten in the second game. In the deciding final, Holland Ladies were unlucky to suffer defeat at the hands of Belgium on a narrow scoreline. 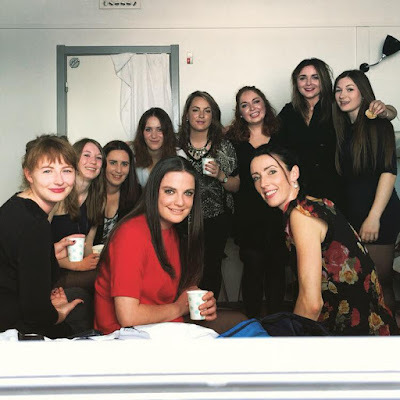 Several players were applauded for their efforts, including goalkeeper Deirdre Kelleher, Eimear Foley and Rose Holland, who had played her last tournament for Holland Ladies. Over the summer months, there are several tournaments in Italy, Brussels and Dresden and then the 15-a-side championship will kick off in September. Keep an eye out for updates here. In Amsterdam we are lucky to have Ruairí Lehmann and Jack O’Gorman training the teams on a weekly basis and we’d like to thank them for their efforts so far this year. Unfortunately we’re losing two of the most prominent figures of Amsterdam GAC in the next few weeks. Rose Holland and Jack O’Gorman are getting married and moving home to the real home of hurling, county Cork. We wish them all the best in married life and thank them for their years of service to Amsterdam GAC.